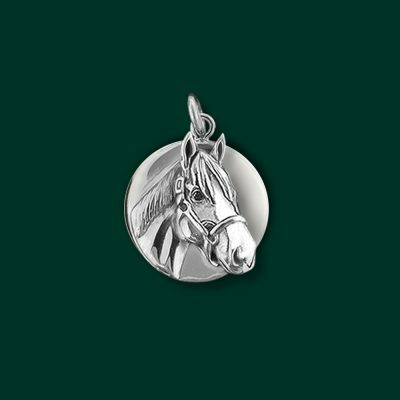 Add your favorite charms easily to this sterling silver charm holder. 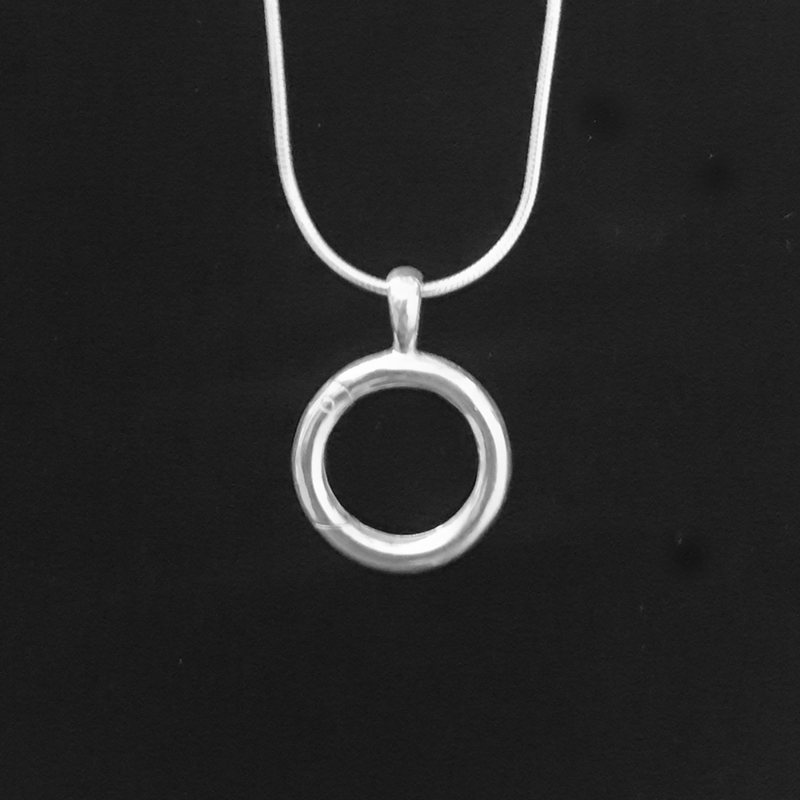 Part of the circle bends in to add a charm. Comes on a 16″, 18″, or 20″ sterling silver snake chain. 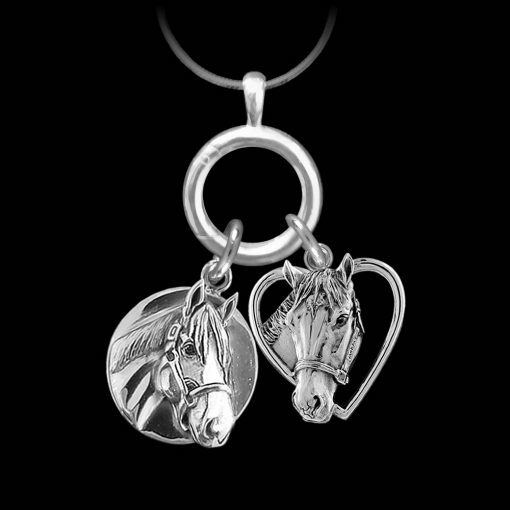 See available Jane Heart charms at Horse Charm Collection. 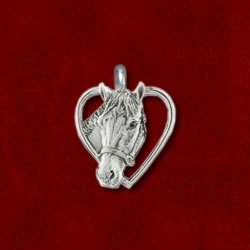 Photo shows how charms would look when added. A fun piece to wear and charms can be changed often! 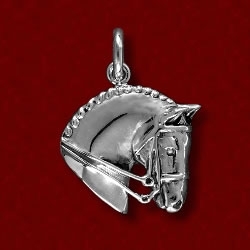 PRICE IS FOR CHARM HOLDER AND CHAIN ONLY. 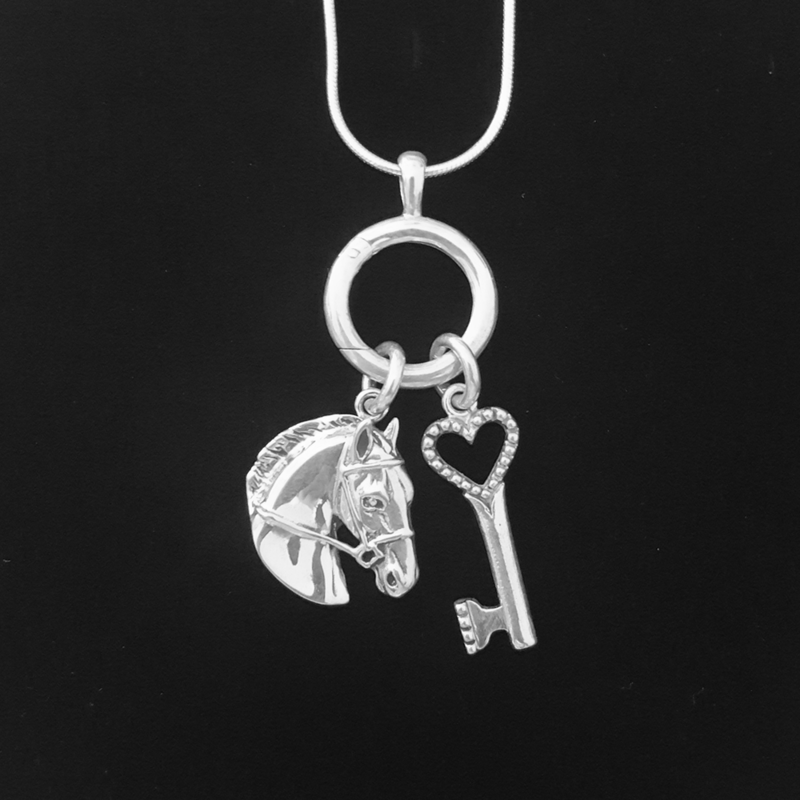 Susan B. chose a Justify and a Barbaro charm as shown to complete her charm holder!